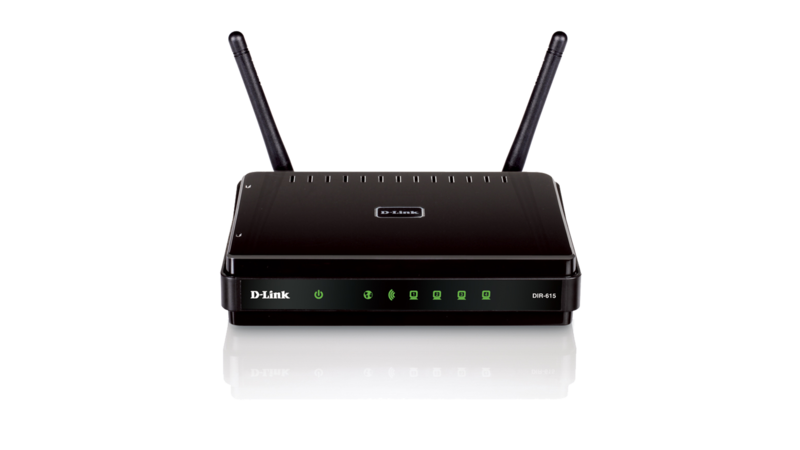 Delivering great wireless performance, network security and coverage, the D-Link Wireless N 300 Router (DIR-615) is ideal for upgrading your existing wireless home network. 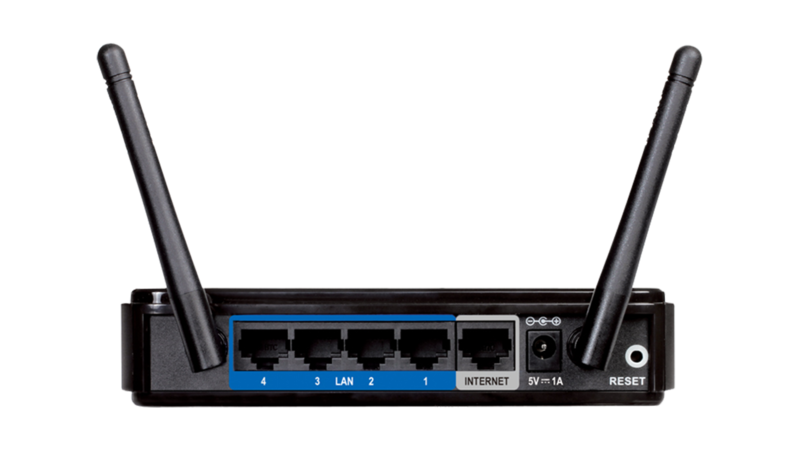 With QoS (Quality of Service) bandwidth optimization to analyze and separate multiple data streams, the DIR 615 has the smarts to handle multiple wireless devices and enable smooth streaming across your entire home network. Upgrading your home network to Wireless N 300 provides an excellent solution for sharing an Internet connection and files such as video, music, photos, and documents. Not only does the D-Link Wireless N 300 technology extend your wireless range, it’s also backwards compatible with previous-generation wireless devices. The D-Link Quick Router Setup Wizard quickly configures your new Wireless N 300 Router to get you up and running in minutes. Our Setup Wizard walks you step by step through the installation process to configure your Internet connection, wireless network settings and security, and everything else you need to get your network up and running so that you don't have to be a networking expert to get it set up. The DIR-615 supports the latest wireless security features to help prevent unauthorized access, be it from over a wireless network or from the Internet. Support for WPA™ and WPA2™ standards ensure that you will be able to use the best possible encryption, regardless of your client devices. 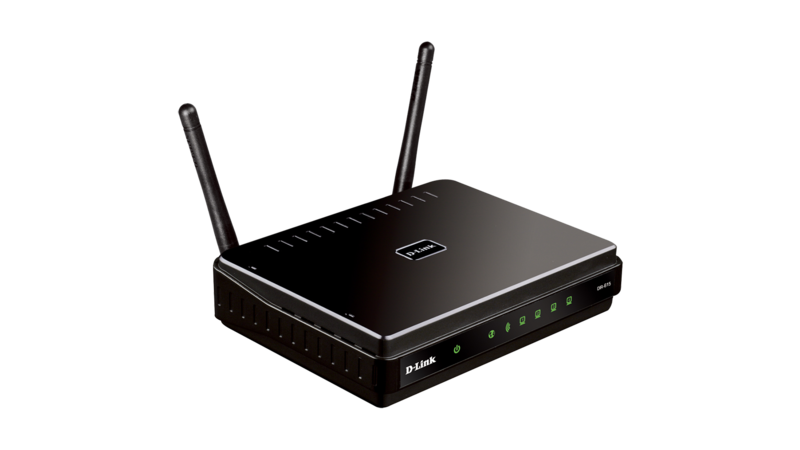 In addition, the Wireless N 300 Router utilizes dual active firewalls (SPI and NAT) to prevent potential attacks from across the Internet. While this may look like your average router, it’s not. This is a D-Link Green router, which is as good for your wallet as it is for the environment. The DIR-615 is designed to conserve energy, protect our environment from harmful substances and reduce waste by using recyclable packaging. D-Link Green devices provide eco-friendly alternatives without compromising performance. To learn more, visit www.dlinkgreen.com. * Maximum wireless signal rate derived from IEEE Standard 802.11 specifications. Actual data throughput will vary. Network conditions and environmental factors, including volume of network traffic, building materials and construction, and network overhead, lower actual data throughput rate. Environmental factors will adversely affect wireless signal range. Wireless range and speed rates are D-Link RELATIVE performance measurements based on the wireless range and speed rates of a standard Wireless G product from D-Link. Maximum throughput based on D-Link Wireless N devices. ** QoS feature available in hardware version B1 and above. This product was phased out on: 11.1.2017.